On Monday, the currency plunged by 43 paise to close at nearly one-month low of 70.92 amid weak industrial output growth data, fall in domestic equity markets and sustained foreign fund outflows. After slipping to nearly one-month low in the previous session, the rupee recovered a bit in the early deals on Tuesday. The domestic unit opened 15 paise higher at 70.77 amid rise in crude oil prices. On Monday, the currency plunged by 43 paise to close at nearly one-month low of 70.92 against the US dollar amid weak industrial output growth data, fall in domestic equity markets and sustained foreign fund outflows. 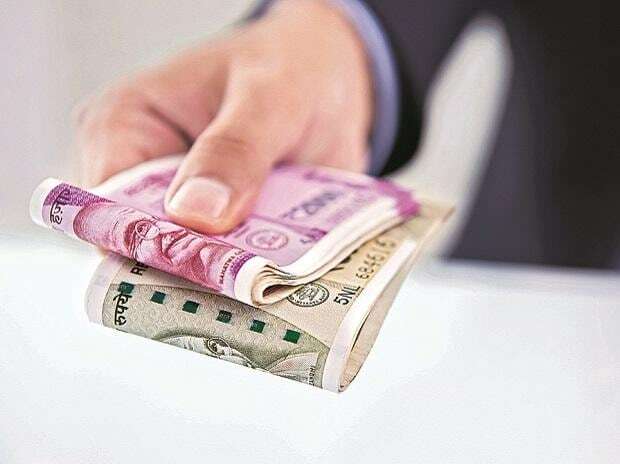 Rupee came under pressure against the US dollar on Monday ahead of the important inflation number that was released later in the evening, says Gaurang Somaiya, Research Analyst (Currency) at Motilal Oswal Financial Services. Data showed inflation in December grew at a slower pace as compared to the previous month. Inflation grew at 2.19 per cent compared to a 2.33 per cent in the previous month raising hopes of rate cut in the upcoming RBI meeting. WPI also decelerated to an eight-month low of 3.8 per cent from 4.64 per cent the previous month, on the back of softening inflation for fuel as well as manufactured items. "Slower than expected economic growth and benign inflation scenario could push the RBI to change its stance and cut rates to support growth. Today, USD/INR pair is expected to quote in the range of 70.40 and 71.20," Somaiya added. On the global front, Asian stocks pulled ahead on Tuesday, led by a bounce in Chinese shares as Beijing signalled more supportive measures to stabilise a slowing economy, while the British pound braced for a showdown in parliament over the government's Brexit plan. S&P500 e-mini futures also gained 0.51 percent to 2,594 in early Asian trade, said a Reuters report.